This elegantly designed, spacious and well laid out museum houses the largest collection of impressionist and post impressionist art in the world. Sitting on the left bank of the Seine, The Musée d’Orsay originally the Gare d’Orsay railway station and hotel building was finished in time for the 1900 Exposition. Thankfully in 1970 it was saved from demolition and by 1978 it was listed as a historic building. An architectural competition decided who would redesign it to become what is now known as the Musée d’Orsay. The spacious entrance filled with light spilling down through the spectacular curved glass ceiling and the magnificent gold gilded clock sitting against a wall of glass makes for an impressive entrance. 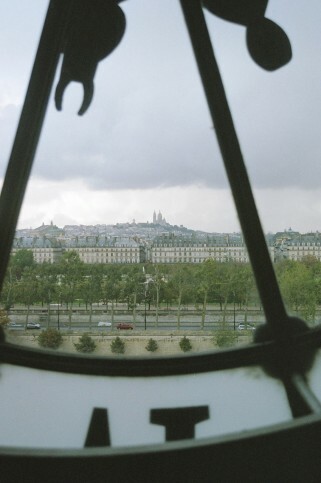 Scenic views of the Basilica Sacré Coeur sitting high up on the hill of Montmartre in the distance can be savoured through the glass of the original floor to ceiling station clocks. Masterpieces ranging from 1848 – 1915 including paintings, sculptures, furniture and photography. The Musée d’Orsay is my favourite large museum in Paris. Opening in 1986 the impressive collection contains works by Monet, Degas, Manet, Rodin, Renoir, Gauguin, Cézanne, Van Gogh and furniture by Gaudi just to name a few. Either downloading a floor plan or picking up a laminated chart upon entrance allows you to easily navigate your way through the museum, finding art of interest without getting lost. To avoid the long queues that snake around the main courtyard, it is best to purchase your ticket on-line up to 3 months before your visit and either print or use the mobile app. This way you can enter quickly via entrance ‘C’. serving sandwiches, cakes and snacks. You can dine in style in the spectacular restaurant, simply called Restaurant, on the first floor of the museum. Created in 1900, the magnificent former hotel restaurant, adorned with beautiful chandeliers, gilded walls and frescos gracing the ceiling has a very reasonably priced menu, despite the surrounds. The menu is traditionally French offering a la carte and two and three course menus at 22.00 euros and 32.00 euros respectively. If you have found this information useful please thank me by leaving a comment or following me on facebook for daily tips, photos and anecdotes. 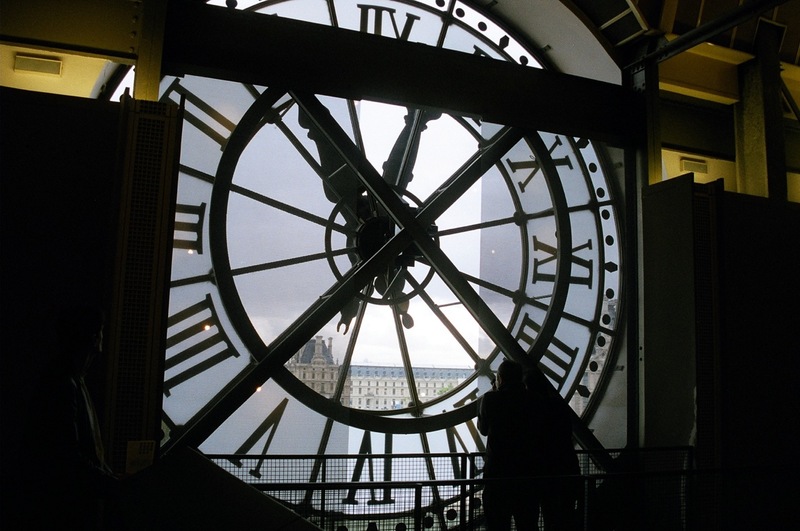 The Musée d’Orsay offers free Admission to disabled visitors, people under 18 and everyone on the first Sunday of the month. Interactive floor maps enables you to plan your visit beforehand. Guided tours, cloak rooms and audio guides available.